The State University of New York Board of Trustees today appointed Katherine Conway-Turner, provost and vice president for academic affairs at Hood College in Frederick, Maryland, as the ninth president of SUNY Buffalo State. 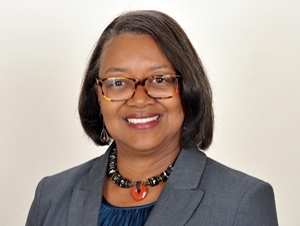 Conway-Turner, Ph.D., is a lifelong educator, scholar, author, and humanitarian who has served in various leadership, administrative, and teaching positions at five universities during her 28-year academic career. From 2004 to 2009, she was provost, vice president for academic affairs, and professor of psychology at SUNY Geneseo, where she was responsible for all 20 academic programs as well as overseeing policies, budgets, and personnel. 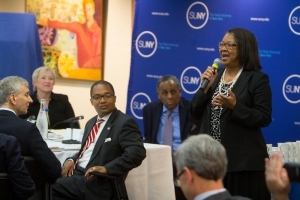 “At Buffalo State, lives are transformed,” said Conway-Turner. “Students sometimes come to Buffalo State and they don't know where the journey will lead them—and it leads them to a wonderful next step and really transforms their lives. I was attracted to Buffalo State because of that. Conway-Turner succeeds the late Aaron Podolefsky, who served as Buffalo State’s eighth president from 2010 to 2013 before his death from prostate cancer. Howard Cohen has led the college as interim president since August 2013. Before SUNY Geneseo, Conway-Turner served as dean of the College of Liberal Arts and Social Sciences at Georgia Southern University and as associate dean of the College of Arts and Sciences at the University of Delaware. Her other positions include American Council on Education (ACE) fellow at the College of New Jersey and director of the Women’s Studies Program and graduate program coordinator at the University of Delaware. She has also held teaching positions at Santa Clara University and California State University, Long Beach. In addition to her teaching and research, Conway-Turner has traveled to Haiti regularly over the past decade, performing humanitarian work as a member of H.O.P.E., a not-for-profit volunteer organization based in Rochester, New York, assisting the people of Borgne, Haiti, in achieving equitable, just, and sustainable living conditions. Conway-Turner has a Ph.D. and an M.A. in psychology and a B.A. in microbiology, all from the University of Kansas. Her Buffalo State appointment is effective on or about August 4. The State University of New York is the largest comprehensive university system in the United States, educating nearly 463,000 students in more than 7,500 degree and certificate programs, and more than 1.8 million New York State citizens in professional development and personal enrichment programs, on 64 college and university campuses, and online through Open SUNY. There are nearly 3 million SUNY alumni worldwide. To learn more about how SUNY creates opportunity, visit www.suny.edu. Buffalo State, a State University of New York (SUNY) campus located in Buffalo’s Elmwood Village, offers degrees in the arts, education, the sciences, and professional studies. Each year, about 11,000 students choose Buffalo State for its broad array of high-quality and distinctive academic programs, diverse and creative environment, hands-on learning opportunities, affordable SUNY tuition, and location in the heart of Buffalo’s cultural corridor.